I went with a mITX build to save as much space as possible, and to also make it much easier for myself if and when I move. The end result is a decently capable machine on a budget, with room for upgrades in the future. I wouldn't change anything about this build on the budget that I had, but if I could add more, I would definitely get a nicer CPU cooler than the stock one (this case can fit a 120mm rad AIO cooler). Just a solid motherboard. BIOS is easy to navigate, feature set is impressive, and it looks really clean. The placement of the USB2.0 and front audio headers are a little odd, but didn't really have a problem with those. There was also no interference between my GPU backplate and the RAM slots (This seems like a non-issue, but I've seen it be a problem on some other motherboards). Great GPU! Even though it's about 10 dollars more than it's competitors, it boasts a super clean aesthetic, the backplate is fantastic, and the Sapphire logo which lights up looks amazing. 0 RPM fans at idle is a great feature too. Great case to build in! It's a bit of a hassle to remove the rectangular panel off the top, and perhaps the build quality could be better, but nothing was detrimental to the final build and at this price I can't really complain. The power button is nice and clicky, the internal layout is well thought out, and I never felt that it was difficult to build in despite the fact that it is so small. 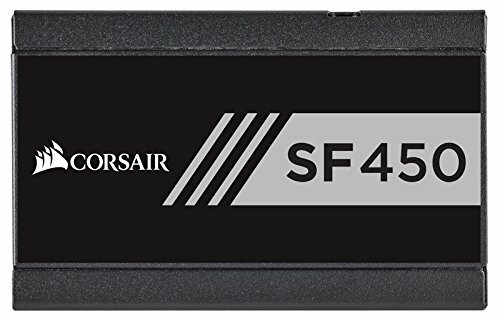 I would recommend going with an SFX power supply and using the SFX to ATX adapter from Silverstone, as this gives you so much more room to breathe. Super quiet, even at max RPM (1100). Build quality is superb, and the inclusion of the colored rings is a huge bonus. What's it's humour setting set to? Gotta keep it at a nice 75%! Very efficient build! 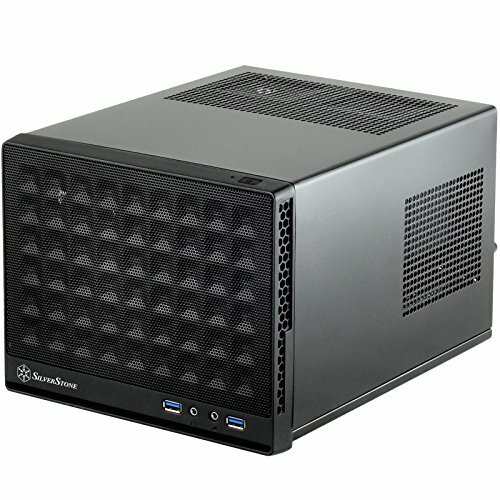 Would it be possible to use an ATX power supply with that graphics card? Yep! I just went with an SFX one because it gives much more clearance in the front and for the cpu cooler. Cool. Nice keyboard by the way. Is the front fan pushing or pulling and how is the airflow, are things running hot? The front fan is pulling air in, as it's usually a rule of thumb to have "positive air pressure" (more fans taking in air than out). The only reason for this as far as I can tell is to mitigate dust buildup. In terms of temps, yes they are a little hotter because I went for a pretty quiet fan in the front, but nothing that causes throttling by any means. That's a good idea to have positive air pressure. I appreciate your response. Given the jumble of wires behind the fan and the little space between the CPU and PSU I'm surprised it isn't really hot. I know! This video here (https://www.youtube.com/watch?v=YDCMMf-_ASE) by linustechtips shows just how little cable management actually affects cooling performance. Yeah, I tried my best haha. They also tend to look way more chaotic in pictures, not really sure why that happens. Thanks for checking out my build! 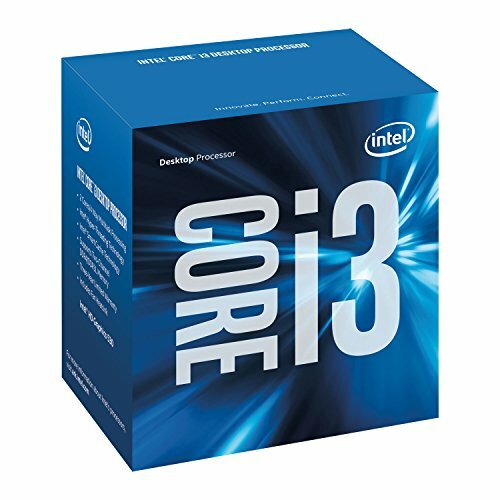 did u experienced any bottleneck with this cpu? Nope, not really. Gaming-wise, you're looking at a 5fps or so decrease at most compared to a i5-6500. Nice gaming rig, you could have definitely a more powerful computer for only slightly more money, but this one should still run smoothly on games in 1080p. 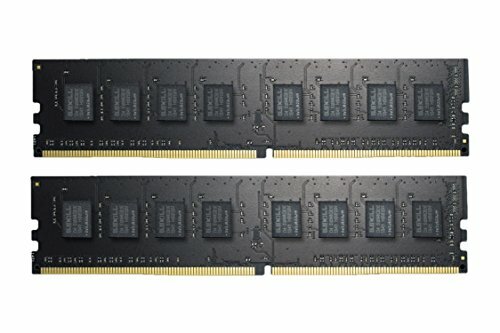 http://pcpartpicker.com/list/FcbsXH is what I would have done. I'm late to the party, but I like this little pc. Nice build, but I personally wouldn't have spend so much on a power supply and a motherboard for a build like this. You could've done a gtx 1060 i5 6500 build with this kind of budget. Also, the rx 470 is $50 over MSRP so I would've waited for the price to go down. Personally, even if you were going for a $200 gpu I would've waited for the gtx 1060 3gb because more games are optimized for nvidia graphics cards. I appreciate your input, and I definitely could have fit a 1060 and a i5 6500 in my budget if I spent less on other components, but I wanted to build my rig now (there's always something newer/better/cheaper on the horizon), and I also wanted quality parts. Since I don't play a ton of super demanding AAA titles, I figured I would spend a little more to get the right features and quality. Also, mITX components tend to be a little more expensive than ATX ones, and so you have to be willing to spend more on them IMHO. Why did you go with the 470 when 480 is so little more?